The temple of Augustus, is situated adjacent to the Hacı Bayram Mosque in Ulus. It was built on the site of a sacred precinct of the Phrygian Goddess Cybele and God Men as a display of loyalty to Rome after Galatia was annexed to Roman Empire by Emperor Augustus. In the 5th century the building was converted into a church by the Byzantines. The temple is surrounded by a Corinthian peristasis, with 8 columns on the short sides and 15 columns on the long sides. The building’s monumental gate survives to the present-day and leads to the inner part of the holy building and a covered passageway, called a pronaos. The Roman Baths, are located on Çankırı Street, stretching between Ulus Square and Yıldırım Bayezid Square. The palaestra, surrounded by porticoes on all sides, is a large square area. The frigidarium(cold room), tepidarium(warm room) and caldarium(hot room) are all connected to the palaestra. With its various yards, furnaces, service parts and water tanks, the building was a monumental structure. The Ancient City of Gordion, situated 96 km southwest of Ankara in the village of Yassıhöyük, Polatlı, Gordion was first inhabited in the late 3000 BC. This particular ancient city has various layers of settlement belonging to the Hittites, the Phrygians, the Persians and the Romans. According to legend, the man who made Gordion a capital city fort he first time in 8th century BC was the Phrygian King, Gordias. The city enjoyed rapid growth and dazzling prosperity during the reign of King Midas. Having been destroyed by the Cimmerians in 695 BC, Gordion was rebuilt as a commercial and military centre under the reign of the Lydians. The city was captured by the Persians in 546 BC. It was abandoned soon afterwards, only to be occupied by the Roman army in 189 BC. During the Roman Period, Gordion gradually lost its importance and became an insignificant settlement. The ancient Gordians buried their deceased in a tomb called tumulus. Over 80 tumuli lie scattered across a large valley to the east of the village of Yassıhöyük. These ancient tombs vary in size and were built out of wood covered with a large pile of Earth. The largest tumulus in Gordion is believed to be that of King Midas. It is the second biggest tumulus found in Anatolia, and measures 300 metres in diameter and 55 meters in height. The Museum of Anatolian Civilizations; the musem building was created by converting two Ottoman buildings located to the South-east of the Ankara Citadel in the Atpazarı Square. 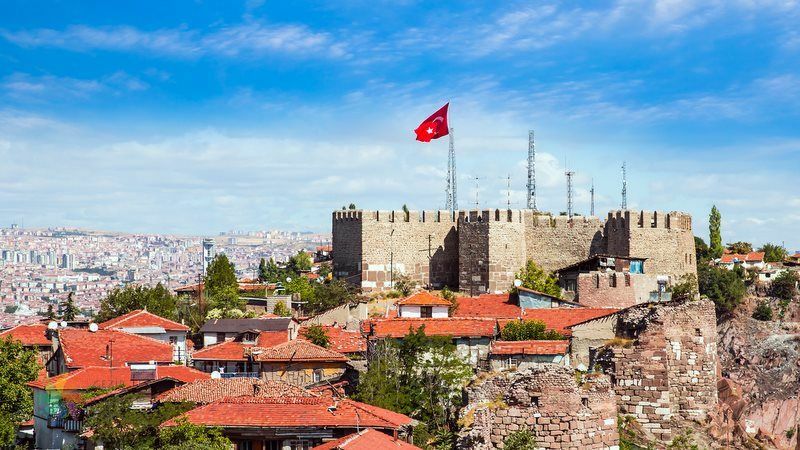 One of these buildings, which was a bazaar, was built between 1464-1471 by Mahmut Pasha, one of the principal viziers of Sultan Mehmet the Conqueror. The Museum of Anatolian Civilizations is now one of the most significant museums in the world with its unique collections an works exhibited in chronological order. The collections include artefacts uncovered at excavations at Karain, Çatalhöyük, Hacılar, Canhasan, Beycesultan, Alacahöyük, Karaz, Mahmatlar, Eskiyapar, Elmalı, Kültepe, Acemhöyük, Boğazköy, Gordion, Pazarlı, Altıntepe, Adilcevaz and Patnoz, which belong to the Palaeolithic, Neolithic, Chalcolithic and Bronze ages, Assyrian Trading Colonies, the Hittites, Phrygians and the Urartians. Displays also include artefacts belonging to the Hellenistic, Roman, Byzantine, Seljuk and Ottoman periods, as well as Hittite reliefs from the city portals at Alacahöyük, Malatya, Kargamış and Sakçagözü, which date from the late Hittite Period. The Etnography Museum; the building that houses the museum was designed by the architect Arif Hikmet Koyunoğlu, and was built on Namazgah Hill in 1927, and opened in 1930. The walls of this rectangular, two storey and domed building ar made of coarse sandstone. The equestrian sculpture of Atatürk standing in front of the building was made by the Italian sculptor, Pietro Canonica, in 1927. The courtyard of the museum is kept as the symbolic tomb of Atatürk, the Founder of the Turkish Republic, as his tomb was kept there from 1938 to 1953, when it was transferred to a specially-built mausoleum, the Anıtkabir. The museum exhibits precious examples of Turkish traditional handicrafts, such as wood, metal fabric Works from different regions of the country. The museum also provides visitors with a library specializing in Anatolian etnography, folklore and art history.